Other than coffee, there is one more thing that can make waking up (at 5:30am) just a bit easier....chocolate for breakfast!!!!! That is why I have been making these chocolate muffins for three plus years. 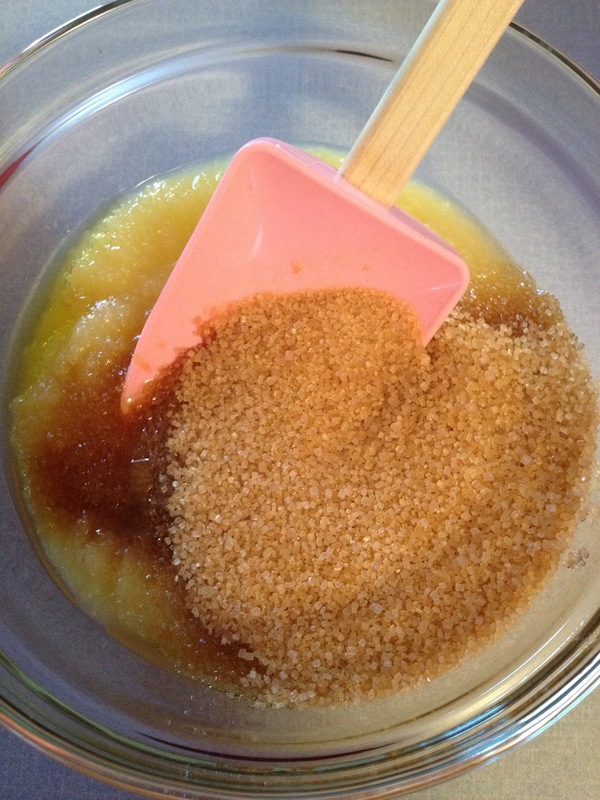 Back when I worked outside the home, they were my favorite grab-and-go breakfast! Now, I make them for my husband to take to work. Lacie gets to eat them too, but they're dessert for her! 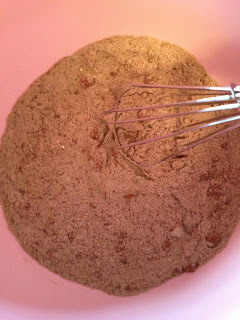 The only time she gets chocolate for breakfast is when I make my whole wheat chocolate chip pancakes! So right about now you are probably thinking that these muffins are unhealthy. NOT TRUE!!! 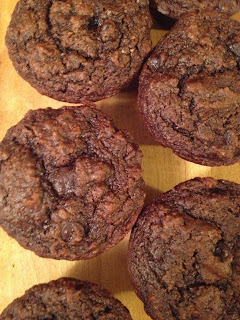 Now before you get carried away, I am not saying they are as nutritious as an egg white omelet, but they pack a pretty good nutritional punch for something with the word chocolate and muffin in their name! 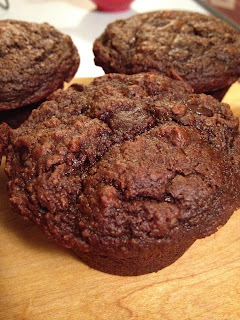 These muffins are dairy free (depending on what chocolate chips you use)! There are also no eggs in this batter, so feel free to let your children make this with you and lick the spoon! Enjoy these muffins with your morning cup of coffee! I promise your day will be better after having chocolate for breakfast! 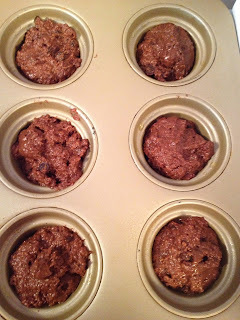 I make these muffins in a Large 6 well muffin tin from Williams Sonoma!